What made you decide to do the UFIT Clean & Lean Challenge? After signing up for UFIT Bootcamps I decided to take on the Challenge after a couple of friends had taken part with impressive results. A good friend of mine, Ben Wheeler, actually won it and he convinced me to take it up. I have a fairly clean diet but the approach to cutting out sugar is taking things to a new level and eye opening as to how it affects your body. How did you find the Challenge? It was tough, especially the first week. I generally felt weak and lethargic with cravings for foods cut out of my diet such as milk, fruits, pasta and sauces. One thing is for certain, you have to plan your meals and it isn’t something you can just take for granted, especially if you have full intense days at work. 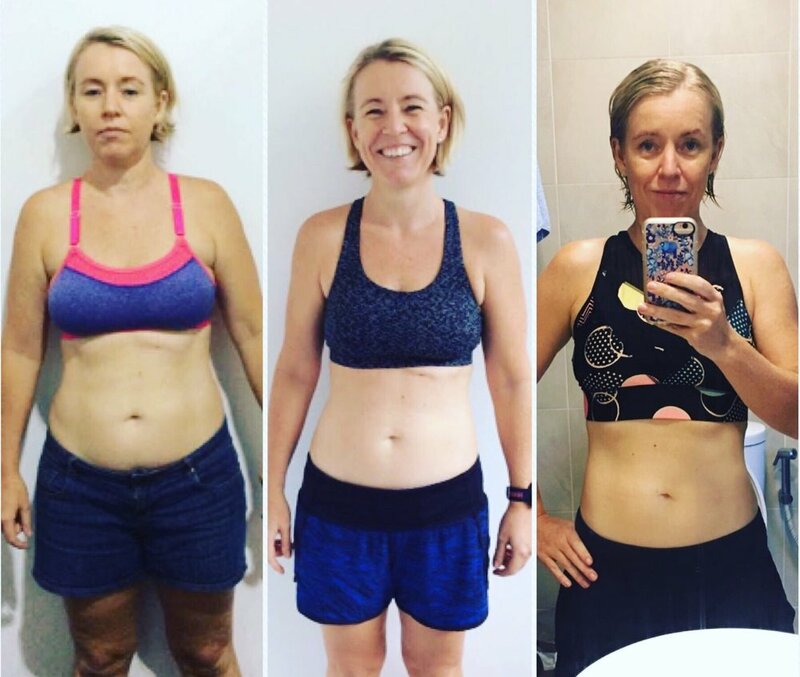 After the first week my body adjusted and the body shock started to ease off and towards week three I had more energy than before although intense exercise (bootcamps) were really tough without the carbs for energy. I actually suffered from severe cramps in week three in my legs and even jaw (!!) so took magnesium and zinc which helped calm them down. Week four is like running the last part of a long distance race – you just want it over with but the line is in sight and weigh-in just a few days away to keep motivation! The UFIT team were great throughout with the weekly talks and the Facebook group so any questions are quickly answered throughout the four weeks. I lost around 3.5% body fat which was a good result for what I wanted to achieve. What has made you decide to do it again? I’m not overweight but C&L doesn’t necessarily have to mean losing loads of weight – it can be, but it can also act as a great detox program. So for me it is just about getting rid of any of the excesses of the last few months and cleansing the system! What are my goals for the future? My goals are to remain aware of what I eat and how it affects my body. Foods that you may strongly believe are “healthy” may be loaded with sugar which may be adding to your weight or reducing your energy levels without you realising the cause. I was very surprised to find out that an average banana contains 14 grams of sugar! I will maintain a PT program with UFIT combined with the diverse bootcamp options and sign-up for the C&L twice a year from now on. Overall I can highly recommend the C&L program to anyone considering taking this on, and as always, the UFIT team will support you through the 4 weeks which is challenging but ultimately very rewarding. What motivated you to start your UFIT training? When my daughter was born in January 2016, I weighed over 140kgs and was grossly unfit. I could barely walk without panting and was in such a poor physical state that as she grew up there is no way I would be able to partake in any activities with her. 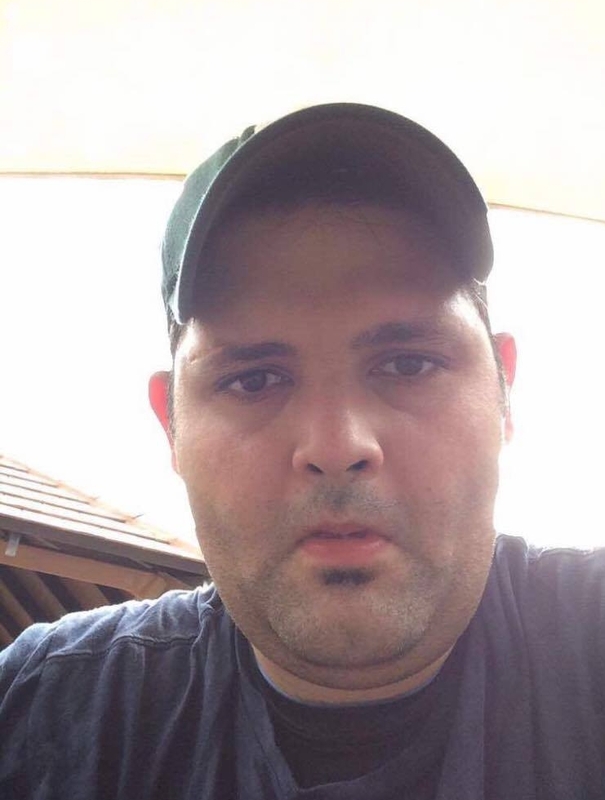 I moved to Singapore three months later and was sure I was going to focus the majority of my time on losing weight and getting fit. However, as Aaron would be the first to say, our first 3 months were pretty ordinary. My starting weight with UFIT was 136kg, and by the end of June it was closer to 142kg. 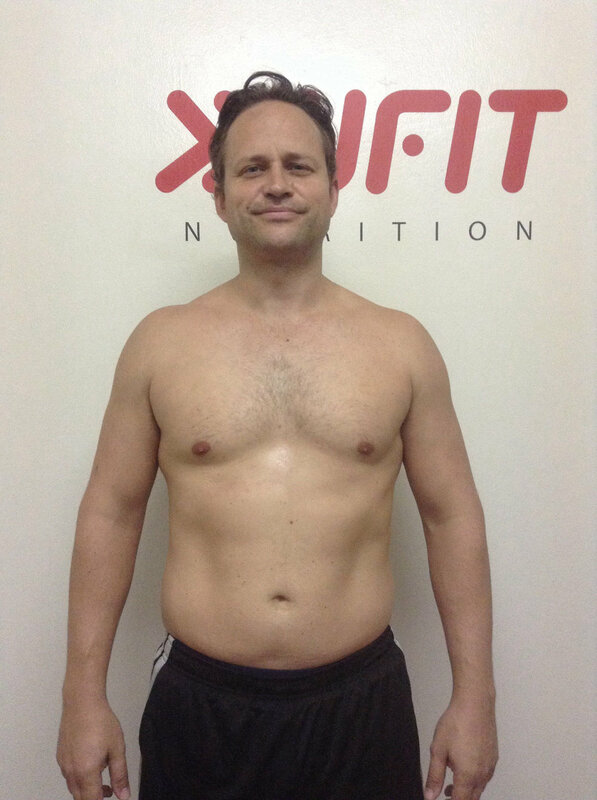 My primary impression was that because I had joined UFIT, the results would come - not realising that the majority of the work for any kind of real results comes outside of the gym and with life altering habits. Around early June my wife had a serious go at me about my situation - it’s not like I didn’t know what my condition was, or the strain I was putting not just myself under but also my family. The real wake up call came from her, who made me realise in that one conversation that I couldn’t go on like that. That I had to make a real life altering change to my eating habits and how I looked at life. 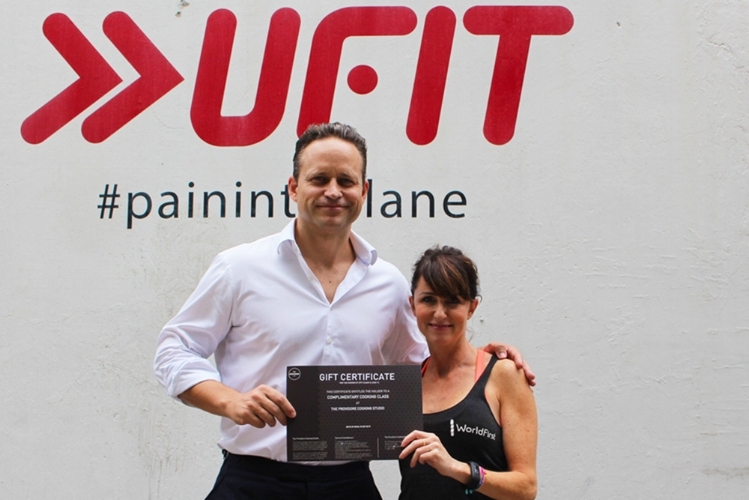 When first started at UFIT, the thought of being able to manage more than 3 sessions a week was just not possible as I was nowhere close to being fit enough to manage it. I did however think that as I got fitter I would eventually sign up for the BT program, however as my sessions and progress with Aaron continued to hit new levels, we both decided not to change things. Having said that one of the key reasons why I did end up joining UFIT is that on the website I came across Sunny Gill’s successful body transformation and it inspired me to try and make some changes to my life. Sunny was in the same school as me, and so I could relate and see the improvements that he had made in the year, which made me realise that it was possible to achieve. What did your UFIT program consist of? I started with 3 PT sessions with Aaron Jones each week, which was a combination of strength training and conditioning. At the beginning, Aaron incorporated both strength and conditioning into the same session as a means to get my overall fitness levels up. We focused mainly on larger body parts and kept accessory work and isolation work down to a minimum. Part of Aaron’s philosophy which I bought into was that isolation work needed to be earned and therefore when I got to certain standards it was something we would work on. We also took a more controlled approach to my food - specifically cutting out sugar and carbs (getting carbs mainly through vegetables) and also restricting my intake to between 1,200-1,500 cals a day. I tracked what I ate and stuck with the overall process and with time the journey was successful. Aaron also wanted me to do a minimum of 4/5 fasted cardio sessions every week, which would last between 45 mins to an hour. I felt that this really helped me lose weight and also improved my overall aerobic capacity. How often did you do train and how was it? The overall program was challenging! Being in such poor physical condition I found the conditioning aspect the hardest, but having some amount of weight training allowed me to enjoy the training more and more. The fitter I got the more I got into my conditioning and now enjoy it as much as my weights. I started with 3 sessions a week and now have moved to 6 a week. I managed to lose a total of 55kg. I dropped my overall body weight from 142kg to 87kg today. I have also managed to hit some performance objectives of being able to run 10km and achieve PRs on all my main compound lifts. I can’t put into words the ‘intangible' results I have achieved such as confidence, and I have literally become a brand new person. What motivated you along the way? From a motivation perspective, I can’t really stress the importance of having someone like Aaron help me through my journey. He was able to keep me focused on my goals and keep my sessions fun but intense. More importantly he was constantly available on the phone and helped guide me through the nutritional maze. Also when I had to travel for work he would constantly be in touch to ensure I got my sessions in. Besides Aaron, I think all the other trainers at UFIT helped me in some way or form. The times I had to use other trainers like Lawrence or Ru they were equally focused with me and helped me to get my results. Other than that I think the overall vibe, atmosphere and banter in the gym is great and really helped me stay focused. Any stories you can tell us about your personal trainers? I train with Aaron and Lawrence Cartwright - that stuff is off the record and downright crazy to talk about. Our Body Transformation Program does just that – transforms bodies and lives! It is a 4 week intensive, all-inclusive program, that will get you amazing results in a short amount of time. Our team of the 'best in class' Personal Trainers, Nutritionists to Psychologists identify your needs and take your journey with you each and every single step of the way. We're there when you need support, motivation and most importantly we are interested in helping you build a sustainable and healthy lifestyle for the future.